Dubai: The first Arab probe to Mars, the Hope Probe, will be launched next year between July 14 and August 3 from Japan and should reach Mars by February 2021, officials of the Mohammad Bin Rashid Space Centre (MBRSC) announced on the first day of the second MBRSC Science Event yesterday. The Hope Probe will create mankind’s first integrated model of the Red Planet’s atmosphere. His Highness Shaikh Mohammad Bin Rashid Al Maktoum, Vice-President and Prime Minister of the UAE and Ruler of Dubai, launched the project in July 2014. The brief launch window of July 14 to August 3 was chosen to maximise chances of success for the mission. Missing this window will push back the launch by another two years due to the distance between Earth and Mars, experts said. “You need to have the spacecraft and rocket ready before July 14th. But you cannot specify the exact date when you’re going to launch [for now] because it all depends on many different factors — the weather, readiness of the launcher, and other issues. But usually it’s the weather that determines the launch,” Omran Sharaf, Emirates Mars Mission (EMM) Project Manager, told Gulf News. The most likely launch dates would be somewhere after July 14 while the most “challenging date” would be August 3, said Omar Hussain, Lead Mission Design and Navigation Engineer for the EMM. “If we launch any day before July 14, we’re going to be using way too much fuel. If we launch later than August 3, the launch vehicle would have to be a larger one. August 3 is one of our most challenging cases because it will use more fuel,” Hussain said. All these scenarios have been considered and the EMM team has things under control, Sharaf said. If all goes according to plan, the Hope Probe should insert into Mars’ orbit by February 2021 to coincide with the 50th anniversary of the founding of the UAE. Once in orbit, all the data collected by the Hope Probe would be shared with the international community, said Sarah Al Amiri, Minister of State for Advanced Sciences and EMM Science Deputy Project Manager. “We didn’t want to send a spacecraft to Mars that will just check the box that the UAE reached Mars, took an image, and that’s it. This mission is mandated from the get go to allow data collected to be available free of charge to the world. As soon as the data is verified, it will be available to the public so that everybody can endeavour to start analysing that data and get those questions out there answered,” Al Amiri said. But the Hope Probe’s bigger objective extends beyond space, Sharaf said. “The Hope Probe is a national project. It’s a driver to cause an impact in all different sectors — not only the space sector but even the academic, space, industrial sectors and so on. So the ripple effect of this mission is beyond space,” Sharaf said. What is the Hope Probe? It’s a compact, hexagonal spacecraft whose overall size and weight is comparable to a small car. It will orbit Mars and collect data to search for connections between today’s weather and the ancient climate of the Red Planet. The data will be used to study why Mars is losing its atmosphere to space by tracking the behaviour and escape of hydrogen and oxygen, which are the building blocks of water. Where is the Hope Probe now? The Hope Probe is in the UAE and is currently in the testing phase. The tests include the functionality of the spacecraft, software, system and subsystems, vibration test, shock test, and others. Some of the tests will also be done abroad. From where will it be launched? It will be launched from the Tanegashima Space Centre on an MHI-H2A rocket, a two-stage rocket similar to the one that launched the KhalifaSat in November. Why is ‘launch window’ important? 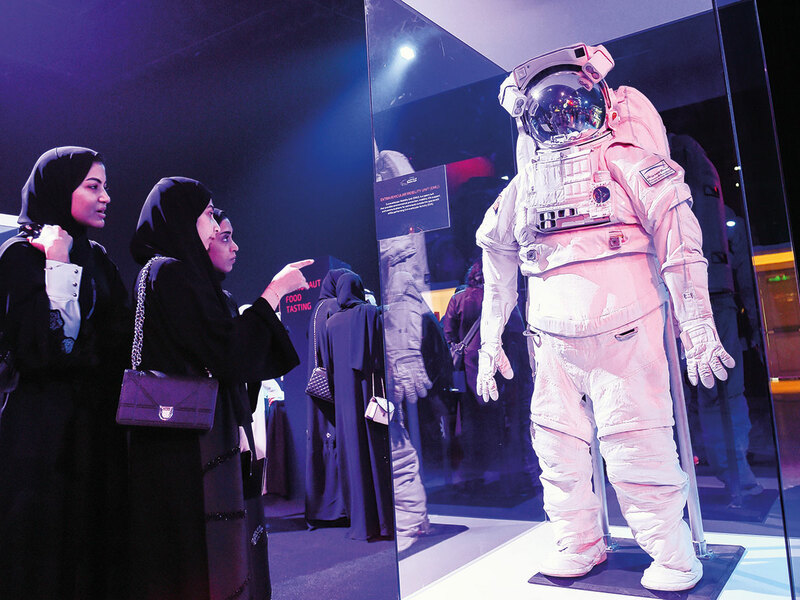 The UAE leadership aims for the Hope Probe to reach Mars by 2021 in time for the UAE’s 50th founding anniversary. The ‘launch window’ relates to the fact that Earth completes its orbit around the Sun in 12 months, while Mars does that in 22.6 months, roughly twice that of Earth. So the two planets come close to each other roughly once every two years. The cruising distance from Earth to Mars is more than 60 million kilometres and the cruising time is approximately 200 days or seven months. Why is MBRSC launching the Hope Probe ‘away from Mars’? This is a standard approach so that the launch vehicle won’t crash into Mars when it gets there. Since MBRSC can control the spacecraft, they can launch “a little bit away” and then correct the trajectory in order to get to Mars. Why do we need to study Mars? “As humanity, the reason why we study Mars is because scientists believe that Mars may have been similar to Earth billions of years ago. Something went there that turned it into a dead planet, it lost its atmosphere; the geography changed. So understanding Mars would help us better understand the changes happening on Earth and in the solar system,” Omran Sharaf said.